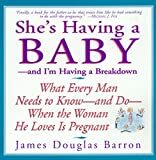 There are plenty of books and DVDs that show women how to exercise with their baby to get back in shape. But what about the poor neglected dad? 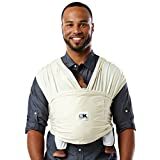 The truth is, "raising" one's children comes naturally to fathers, and this book provides new dads with a spontaneous, healthy, and fun way to engage with their babies and young children. 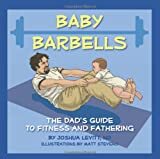 With funky, retro-cool, full-color illustrations, Baby Barbells not only shows men how to work their biceps and quads, but more importantly provides amusing yet poignant advice on bonding with baby and becoming a great dad. With its soft, subtle humor and meaningful guidance, Baby Barbells combines parenting, fitness, and health into a playful series of exercises--all in a contemporary, appealing package.